Discussion in 'The Green Room' started by Dr. Krieg, Aug 26, 2009. From Dad's archives. For some reason they had a parade on Ie Shima - I'm guessing it must have been VJ Day. This 'float' screams of Dad's cartoon drawing style, so I'm sure he designed it. "Jug Junior" is in his squadron markings (333rd FS, 318th FG), with his initials on the side. Not sure where they found a woman to paint the name! Uh.... Where does Mr. Grinner (far left of the last photo) have his hand? Cats, Hellcats... and a Duck?? Hellcats, PBY Catalinas, and what appears to be a single SOC seagull floatplane. 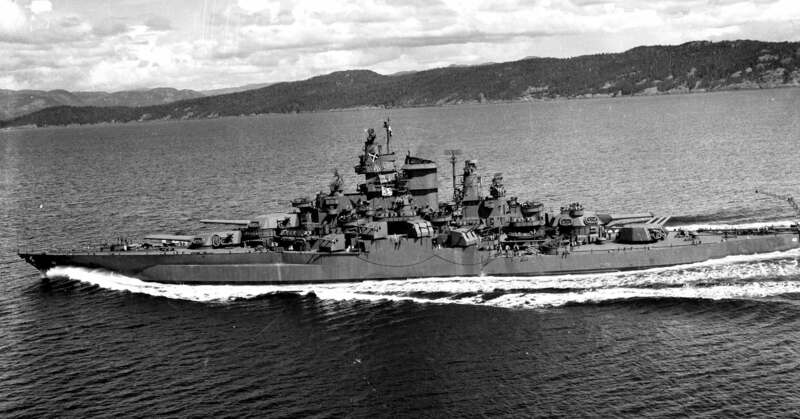 USS Thetis Bay en route to Alameda with a load of war-weary aircraft. The Duck and Seagull look so similar I can't tell which one that is (though NavSource says it's the former). My favorite American Battleship class, the Florida class(post refit). Beautiful. The cage masts never did anything for me. I preferred the military masts of the old armored cruisers. But, for my money, the 1943 rebuilds of Tennessee and California were the best aesthetically. But, I'm a fan of all of the old standard-type super dreadnoughts. "Okay, you crazy comrades! * We make now the decadent capitalist 'rock and roll'!" *More like kameraden since they're GDR troops. 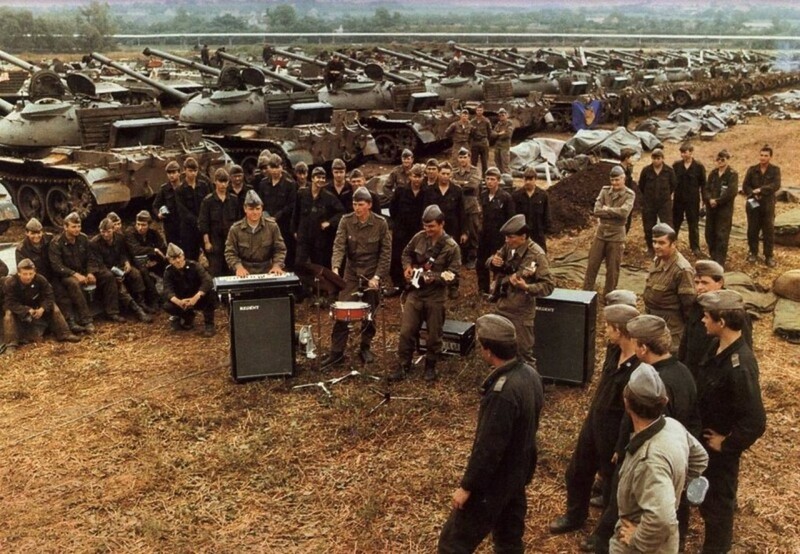 I bet they're playing some Monkees. 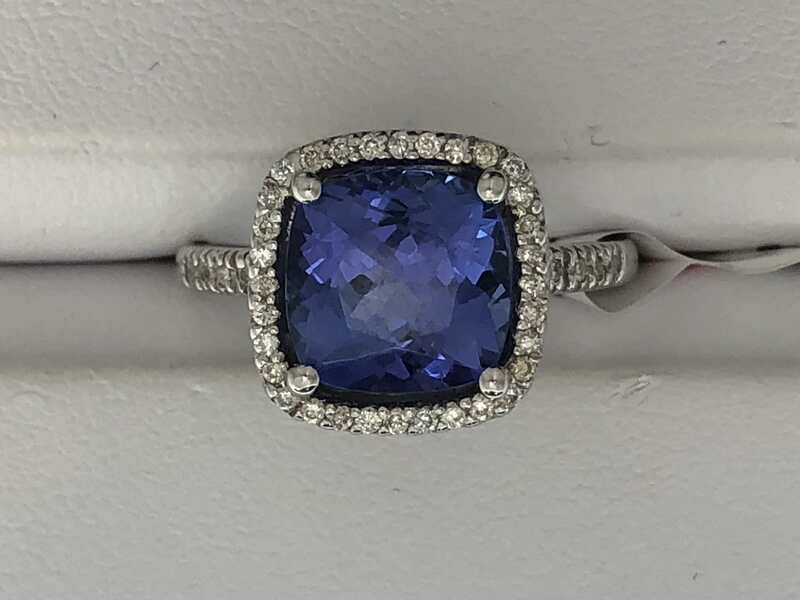 Took some pictures of a ring for a customer today and it automatically backed itself up to icloud, so I thought I'd show off my handiwork. 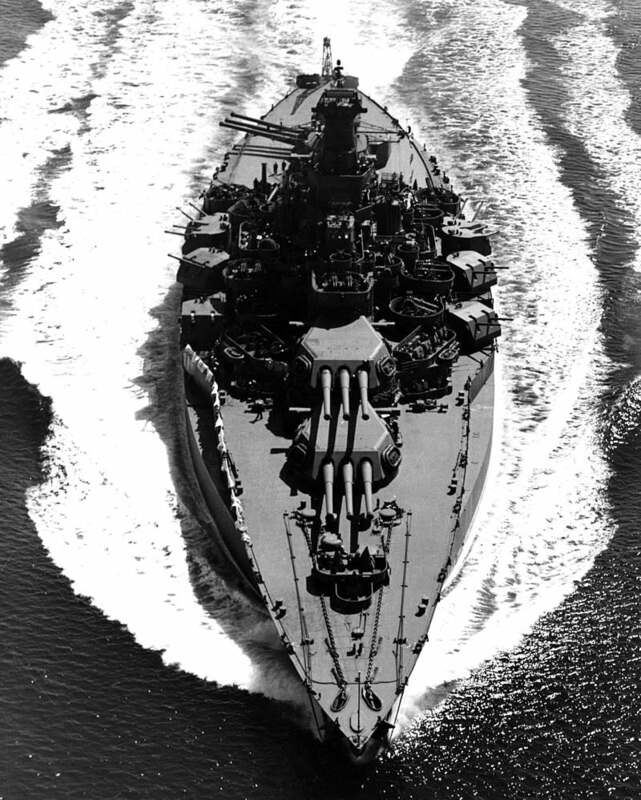 I've always thought the devolution of USS Wyoming was pretty cool. Went from a dozen 12-inch guns as a battleship to mounting every type of shipborne antiaircraft gun as a training vessel in WWII. There was talk of restoring Wyoming at the start of WWII, ala the Japanese Battleship Hiei, but the decision to retain her as an AA training platform was made. That probably had something to do with the loss of Utah at Pearl Harbor. Those 12"/50 cal, Mark 7 rifles really weren't good for much in 1939+. From a shore bombardment standpoint, she would have been better off with the 5"/38's. Those 12’s did alright at Normandy, Iwo and Okinawa aboard Arkansas BB-33. "Kelly Turner was coming to a fuller realization of something that had bothered him since Tarawa: that saturation naval bombardment was futile, squandering both time and ordnance. He would compare the effort to destroy his well-entrenched enemy with general area fire to the prolonged artillery bombardments of the Great War. “Beyond a certain point, both became ineffective and wasteful,” he would write." Hornfischer, James D.. The Fleet at Flood Tide: America at Total War in the Pacific, 1944-1945 (Kindle Locations 2871-2874). Random House Publishing Group. Kindle Edition. Beyond visual range, saturation bombardment was all Arkansas was capable of performing because her float plane spotters had been reassigned to other duties. Big gun general bombardment is a hell of a thing to watch, but ultimately it's a waste of time and shells. 5", 6", and 8" rifles are more than enough to obliterate any specific target within their range. If you haven't read Hornfischer's other books, you ought to make that a priority. Each one is singularly excellent. I also highly recommend the Spruance biography: "The Quiet Warrior." If you've ever watched the Wouk 'War and Remembrance' mini-series, you can tell that the screenwriters leaned heavily on that bio for the Midway stuff. This from the guy who has the entire 15 volumes of Samuel Eliot Morison's 'History of United States Naval Operations in WWII' sitting on the shelf. A generic pic of the type I currently fly: Bombardier Challenger 350. Generic pic of the Challenger 350 'office.' Collins avionics. "This from the guy who has the entire 15 volumes of Samuel Eliot Morison's 'History of United States Naval Operations in WWII' sitting on the shelf." wow.....15 volumes? I think I'll wait for the movie to come out. The pattern for Teterboro goes right over my building in Clifton. Wave as you go by! Collins avionics? I thought that name sounded familiar - I assume the same company made these? They were a major part of our air traffic control equipment back in the day. Jesus, that's an old box! Even the radios we had in the trainers when I was a student almost thirty years ago were more advanced than that! (Although not by much) Love the spot in the upper left where you can pencil in your presets- and the fact that it has presets! Military was the only place I ever used preset 'buttons.' Not sure if it's the same company or not- it might be; Collins has been around a long time. There is less utility for presets in civil aviation, especially when you are flying 'all over,' but since ATC now has the ability to upload data directly into the aircraft's FMS through the new CPDLC system, it seems like a logical step to allow ATC to auto-tune the aircraft's radio frequencies as it passes between sectors. (They can be tuned through the FMS, so the same voodoo applies). My only concern with all of this remote-access stuff is the potential for hacking- I've actually experienced a-holes on the frequency (notably in Florida) trying to issue bogus ATC instructions to airplanes before. They are usually easy to spot because they don't have the proper knowledge of the protocols and procedures we use. Actually, as CPDLC becomes the 'primary' method of communication between pilots and controllers, the use of voice frequencies is going to fade into the background and become a backup measure, like monitoring the Guard frequency is these days. We're already using CPDLC for clearance deliveries on the ground instead of voice comms, transoceanic flights, and domestic use airborne is in the early stages. Canada is actually ahead of us on this stuff: anytime we go into Canadian airspace beyond border cities like Toronto or Vancouver, they REQUIRE us to log on to CPDLC and use it. Privatized ATC up there- as usual, I'd expect them to be farther along than their government run counterparts down south. Canadian ATC is really good: I never have any issues or get ambiguous instructions from those guys, and they know their protocols and stick to them.